This is pretty simple: it checks whether the logged in user is admin. If not, it inserts the tracking codes. 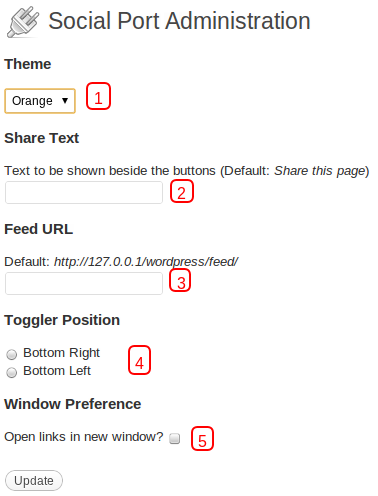 You can find more about Roles and Permissions in Wordpress. Note: Do change UA-XXXXXX-X and domain.tld with correct values. 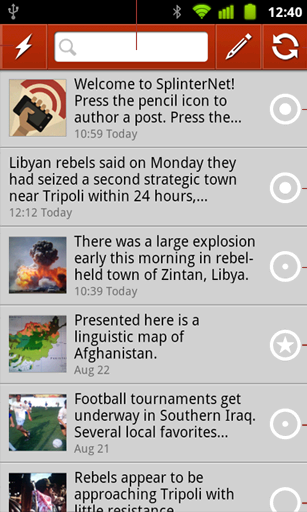 SocialPort is a social-media Wordpress plugin that lets readers easy access to social-media bookmarking sites. It's just like bookmarking buttons — but what makes it stand out is that it adds a fixed port containing all the links. No matter how lengthy your page is, SocialPort sticks to the page. To make it unobtrusive, I have added an option for the readers to hide the port. This happens to be my first ever WP plugin! So, it's probably simpler in the way it works. The ZIP file contains social-port directory. Extract the directory and upload the entire directory to your plugins directory in wordpress installation. (The plugins directory is inside wp-content/ directory) Now, in your WordPress Dashboard, go to Plugins. You'd find Social Port appearing among the list of plugins. Just activate it clicking the link. Once Social-port is installed, you can access the admin section inside your plugins menu in WordPress Dashboard. 1. SocialPort comes in three vibrant colors. You can choose from Orange, Black and Blue. 2. You can decide on what text you'd like to show beside the buttons. 3. You can link the RSS button to your Feedburner feed address. You can leave it blank if you want to link to the default feed address. 4. The toggler can be positioned either at Bottom Right or at Bottom Left. 5. You can let readers open a new tab/window if they click the links. Leave it unchecked to open links in the same window/tab. 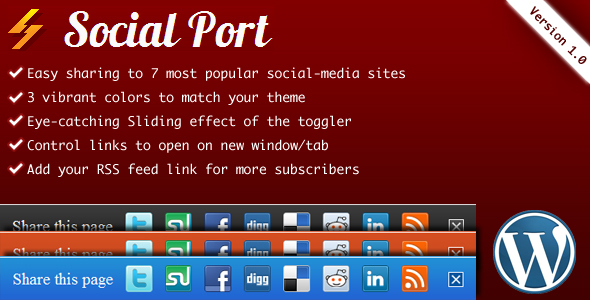 Social Port comes with links to 7 popular social-sharing sites. 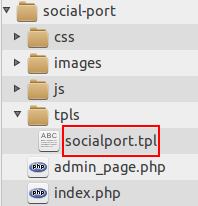 If you want to remove buttons of any of them, you can do so by changing the socialport.tpl file. You can find it inside the tpls directory. The icons are from here. Please use the comment section for issues related to this plugin. While I cannot guarantee full support, I would try my best to help you. Cheers! Today we are going to create AJAX search suggestions inside input text fields. This is different from AJAX Auto-suggest or AJAX Live Search. The idea is simple — we are going to show the user suggestive terms as (s)he types. When the user hits the enter key, the suggestion is sent as the query. This feature was there in Google's search-box before they launched Google Instant search. (I recently added this nice feature on PulsePro's Admin Panel.) Let's build it together! All we need is PHP 5 and a simple database table to search. For the purpose of this tutorial, let us create table called world. You can find the SQL for the table here at MySQL's site or download the source files of the tutorial. (If you're super beginner with MySQL, here's how you can set this up.) Note that the database is pretty big so it may take some time to execute the SQL commands. We are going to let the users search the city names. So, the Name field is our hero! This is fairly simple file. The only thing that needs attention is the presence of a disabled input element. We are going to place this disabled input field behind the text input where the user actually types. Also note that we have turned off autocomplete. This is to prevent any unwanted text suggestions that the browser may show. But how on earth could we possibly put the disabled text field behind active text input? Well, the following CSS (inside style.css) will do the magic. redText is the id of the disabled input and search is the id of active input field. We have positioned both absolutely. This makes one overlap on the other. Next, we set the z-index of disabled input less than the active input. This brings the active input to the front. The other property to notice is that we are forcing the user to type in lowercase (text-transform: lowercase). It's not a good practice but this makes things easier for us developers (at least for this tutorial). Now, we are going to work with ajax.php. Finally, we encode the array as a JSON output. If suggestion exists, we set the value of the disabled input text (redText) to the suggestion. Next, we go a bit further and do something more. If the user presses the right arrow key, we set the value of the active text field to the suggestion. Again, if the user presses Enter key, we submit the form. So, what happens if user submits the form? We first check if there is any suggestion. If there is, we set the value of the active text field to the suggestion and set the search query (q). If there is no suggestion, search query is the same as the text user typed in. Then, we take the user to the Google search page for the search query. And that's all! Hope you enjoyed the tutorial. Don't forget to check out other tutorials and subscribe to the feed! 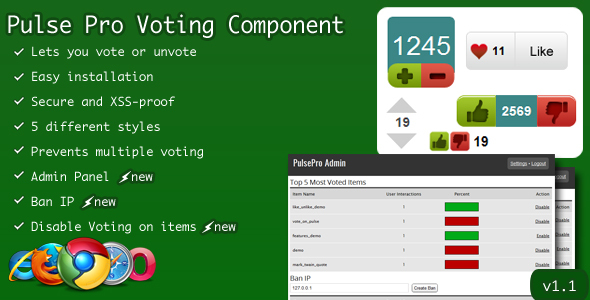 It's been almost a month since I released a premium version of PulseLite — the open source PHP AJAX Voting component. It has got plenty of features. The documentation lets you integrate this component with your existing web-site. If you are building a web-application (or has an existing one), PulsePro is the perfect choice to let your users interact with your application. What makes PulsePro stand out from other vote-components is its ability to let users cancel votes — just like Reddit, YouTube, Facebook Like, Google +1, StackOverflow among many other popular web-applications. Five different styles to match your web-application. Comes with an Admin Panel that lists top voted items and more. Enable/Disable voting on certain items. If you have a web-site or web-application, you may want to let your readers/users vote on items. Not only that, you may want to check how your posts/items are performing, which are the most popular ones, which are the least. The admin area that comes with this component is perfect for this purpose. If some items are performing bad, you know where to improve. In short, PulsePro lets you check the pulse of your application! 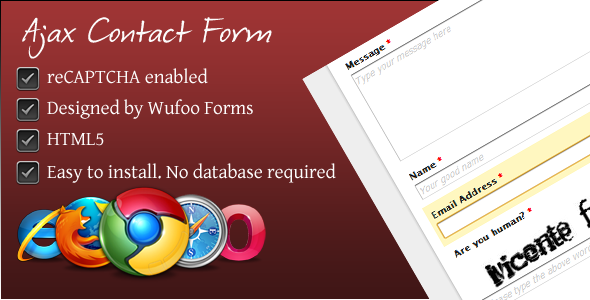 Building on top of the AJAX Contact Form and modifying one of Wufoo's elegant forms available at the gallery, I made a more secure, easy-to-install AJAX Contact Form with more features. It's available for download and takes just a couple of minutes to configure and get it running. Perfect for your website — whether personal or professional. Super easy to install. Just edit a configuration file and upload. If you do not recieve mails, it's probably the server settings. Ask your server administrator. If you need any customization, you can mail me for a quote. 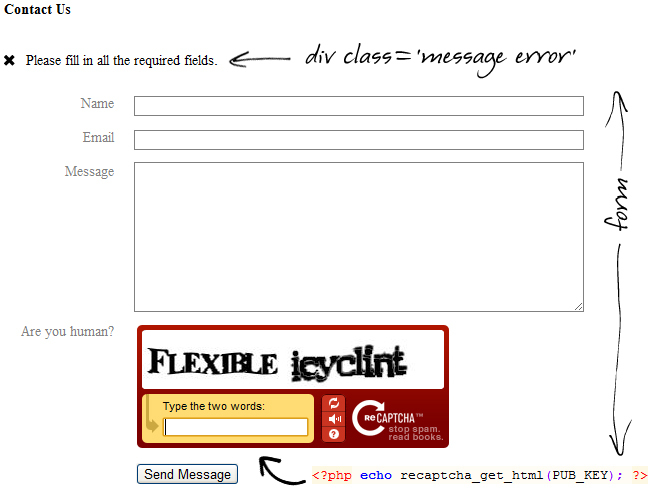 Today we are going to create a nifty contact form powered by AJAX and reCAPTCHA. reCAPTCHA, now acquired by Google, was a project by Carnegie Mellon University that aims to stop bots from spamming websites. reCAPTCHA serves more than 200 million captchas everyday. It is almost impossible that you have not been challenged to type those distorted wavy words. Did you know? reCAPTCHA words are case-insensitive. In most cases, while typing the words, we find it hard to capitalize certain characters. Well, we can just get away without capitalizing. The words entered by humans are used to digitize books. The words are from scanned old books. You can learn more here. Update: A simple yet powerful AJAX contact form that is easy to install, is available for download. You can read about it here. First, we create an index.php file and put the following lines of code inside it. Now, that's a lot of code that needs to be explained. The first few CSS styles inside the <style> tag are pretty self-explanatory. The message class is shown at the top of the form when it is submitted. The error, success, and loader classes are to identify the kind of message shown. We will add the classnames via jQuery. Each section inside the form is wrapped inside infoWrapper class. The labels are the wrapped in infoTitle class and each input field in infoContent class. The other classes (input-text, long and tall) are to prettify the form-elements. We have added an empty div with message class. The text will be filled in and determined via AJAX. The form, as explained earlier, is simple and minimal in its approach. 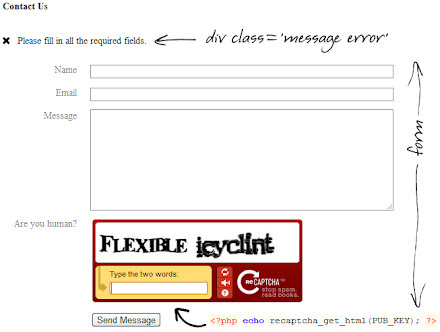 Note that we have commented the section where we are going to put the reCAPTCHA code. Now, if you reload the page, reCAPTCHA words should be there. Next we are going to handle the form response via ajax. We included the recaptchalib.php library and the private key. If none of the fields are empty, we check the answer for the reCAPTCHA words with recaptcha_check_answer. This function is defined inside the recaptchalib.php library. So, ajax.php outputs any of the three values — (1) field_error (when one or more fields is/are empty), (2) captcha_error (when typed words don't match with the captcha) and (3) success (voila). default: // Hmm. The default case. You never know. If you're working with reCAPTCHA (whether on this contact form or some commenting system), you can use Recaptcha.reload() to reload the captcha without reloading the form. Helpful for form validation.